In my previous preliminary write ups on race, I decided to cut down languages to common and racial languages. However, I feel that there is room to have languages play a role within a sandbox without becoming prohibitive or creating a market of magic users who only memorize comprehend languages and sell their services in every major city. So we will break languages down into two arenas, national and regional. National languages will be a fantasy construct that prevents languages from getting in the way (What, no one in our party speaks the same language?!?). Regional languages will provide some granularity to make language an aspect of the sandbox that can have some impact on play. 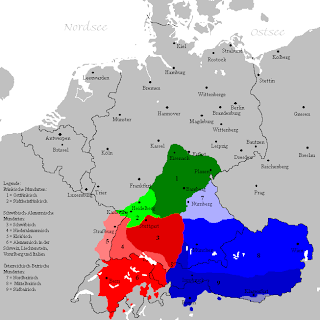 For example, there will be a national language for all Germans, but there will be plenty of regional languages such as Czech, Upper German, Low Saxon, Rhenish, and Low Franconian. Player characters will begin play with a national and regional language dictated by where their character was born. 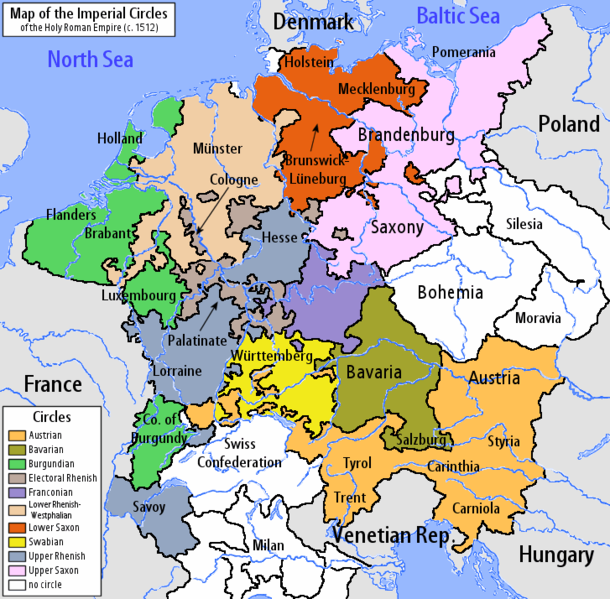 So anyone born in a Holy Roman Empire state will speak German and the corresponding regional language. NPCs will follow the same pattern for the most part. Rural, backwards, or otherwise isolated NPCs might only speak their regional language and not their corresponding national language. This setup should make 90%+ of play go on without worrying about languages. However, it still leaves the door open for interesting linguistic play should the PCs start globetrotting and dealing with foreigners at home or abroad. Plus, regional languages can play a role in role-playing. Since the EMP campaign will start in Germany, let's go ahead and (broadly and in a condensed form) define those languages. Czech is the regional language spoken in the lands of the Bohemian Crown: Bohemia, Silesia, and Moravia. These areas cover the eastern edge of the Empire as it spills into Poland and Hungary. While this is a regional language underneath the German national language, natives in these countries are typically not considered 'German' in the proper sense. 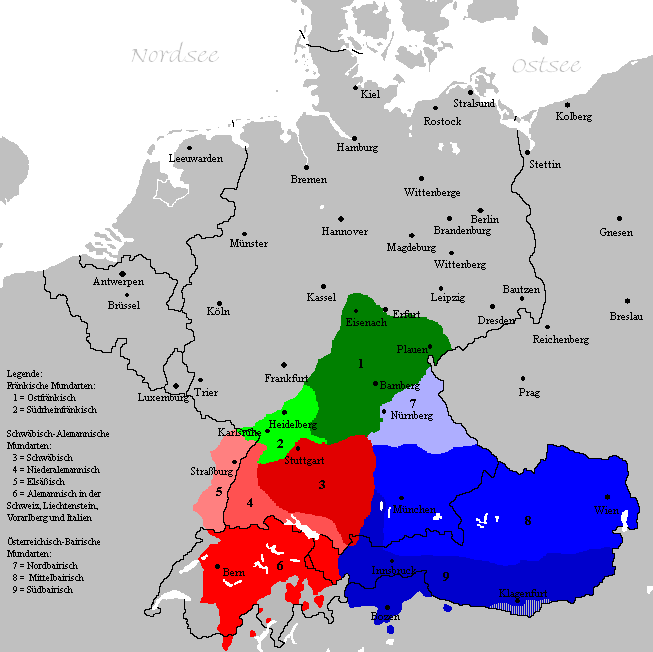 Upper German is the regional language spoken in southern Germany and parts of northern Italy under Austrian control and influence. In particular, this covers countries such as Austria (in the greater sense, including Styria, Tyrol, etc), Switzerland, Bavaria, Wurttemburg, Ansbach, and the many patchwork states therein. Low Saxon covers northern Germany and spills into the eastern parts of the Netherlands. 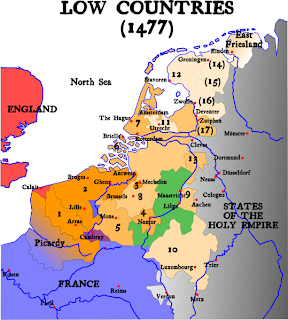 This covers Brandenburg, Pomerania, Mecklenburg, Luneburg, Holstein, Bremen, Munster, Friesland, Groningen, Drenthe, and Gelderland. 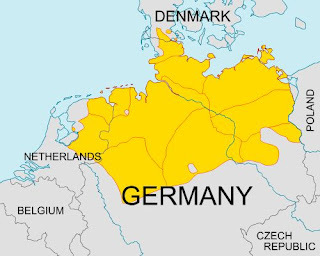 Rhenish covers the central German states. In particular, Saxony, Wurzburg, Palatinate, Trier, Cologne, and Luxembourg. Low Franconian picks up the remainder of the Netherlands, Belgium, and the western edges of Germany as these lands bleed into the French national boundaries. 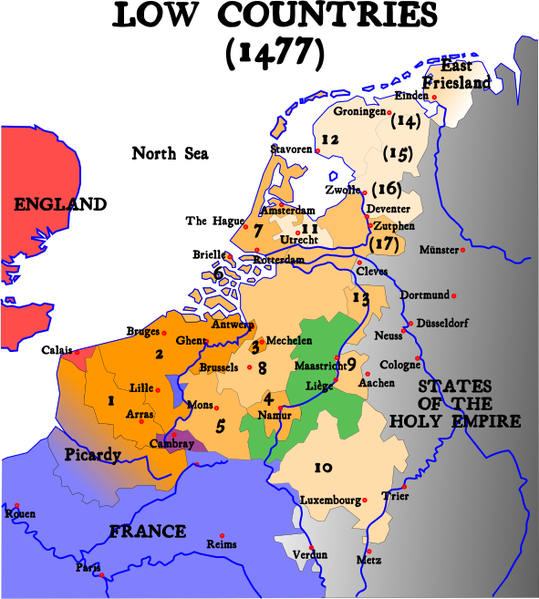 This includes Holland, Flanders, Brabant, Bonn, Burgundy, and Lorraine. This encroaches on French national territory a bit, but that's why Alsace-Lorraine changed hands so many times. Of course, the above distinctions condense a hell of a lot of language groups together. 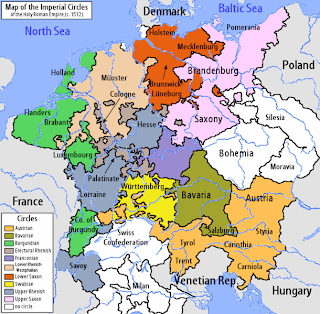 But it provides five distinct regions to have play within the Holy Roman Empire. Here's a good overview of the entirety of the extent of the Holy Roman Empire broken down into digestible chunks rather than the actual patchwork of states that existed. Edit: Pardon the spacing, I tried to get decent formatting for both RSS readers and the actual blog. Thanks for the great time you have spent here to discuss under the valuable topics.